First PAX member to finish will choose an exercise of 30 reps. Bookworm picked merkins. Hold a plank while we count to 50 counterama-like. First PAX member to finish will choose an exercise of 30 reps. Squeegee picked flutter kicks. Hold a plank while we count to 70 counterama-like. 200 yard (approx) bear crawl. First PAX member to finish will choose an exercise of 20 reps. Shoestring picked burpees. LBCs for 3 min or so (time remaining). Chronicles, Rabbit, Bookworm, Bailout, Toms, Squuegee, Shoestring, Judah (Q). Shared I have learned hard topics such as racism, immigration, homosexuality are indeed hard topics. We can’t be cold towards them and we need to approach them in a deeply way loving our neighbor as we were sent to do. F3 WELCOME & DISCLAIMER: Welcome to the Bingo Hall! DURING ALL BATTING PRACTICES, FIELDING PRACTICES, WARM-UPS AND THE COURSE OF THE GAME EXPERIENCE, HARD HIT BASEBALLS AND BATS AND FRAGMENTS THEREOF MAY BE THROWN OR HIT INTO THE STANDS. FOR EVERYONE’S SAFETY, PLEASE STAY ALERT AND BE AWARE OF YOUR SURROUNDINGS. ANY GUEST WHO IS CONCERNED WITH HIS OR HER SEAT LOCATION SHOULD CONTACT THE WORKOUT Q FOR AN ALTERNATE SEAT LOCATION. The bearer of the Ticket assumes all risk and danger incidental to the sport of baseball and all warm-ups, practices and competitions associated with baseball, including specifically (but not exclusively) the danger of being injured by thrown bats, fragments thereof, and thrown or batted balls and agrees that neither the Office of the Nant’an of F3 Memphis, The Bingo Hall, F3 Nation, Gaisman Park, nor any of their respective agents, players, officers, employees and owners shall be liable for injuries or loss of personal property resulting from such causes. Quick mosey down the parking lot, then high knees, buttkickers, carioca on the way back. If you finished the full set with time to spare, start back at the top (this became less and less common as the morning wore on). During commercial breaks, we alternated between 90 second wall sits and 90 second low planks. YHC is no good at low planks! Once the 90 seconds are up, we had a 15 second break to get back in playing position for the next inning. Take initiative to plan something fun for your wife/family/kids this weekend. Don’t be a passive husband/father. Great mumblechatter this AM. Probably not prudent to memorialize it all here, so you’ll have to just trust me. We talked about late night buffets, who cooks the food, and threatening our children. All done in the typical “11s” style, starting with 1 Overhead Clap and 10 Kraken Burpees on to 2 Overhead claps, 9 Kraken burpees, etc. until reaching 10 overhead claps and 1 Kraken Burpee. Running one direction across designated portion of the parking lot and crab walking back. Played “Thunderstruck” by ACDC. PAX completed 1 standard Merkin for every “thunder!” that was heard in the song (There’s a lot). Planked during the rest of the song. We all have “noise” in our life to drown out much need silence. Take time to be silent and listen to the Creator’s voice. Shoutout to the Exicon for the Kraken Burpees and Thunderstruck routine! Also, my arms are basically useless now after this workout. I had to write this BackBlast via dictation. THE SCENE: High 60s/Low 70s. Wet but not raining. Overall very pleasant. Find a parking spot. Starting at one corner, hold plank and side shuffle to corner. Merkins x 5 OYO. Bear crawl to next corner. Merkins x 5 OYO. Plank shuffle to next corner. Merkins x 5 OYO. Crawl bear to starting corner. Merkins x 5 OYO. CIRCLE OF TRUST/BOM: Stand firm during difficulty. Keep a steady pace, keep your focus, and don’t let the discomfort of life dictate your progress and motivation. MOLESKIN: I really enjoy some of the smaller workouts. This was one of them. Except for Squeegee cutting his hand. To the song, Tubthumper by Chumbawampa, start with SSH at beginning of song, then every time they say, “I get knocked down, but i get up again” do a burpee. While not doing burpees, do SSH. 27 burpees. 5,000,000,000 SSH. Remember to give yourself grace today. Prayers for the family of the fire chief who passed away. THE SCENE: Weather was pleasant; waiting for it to turn bad tomorrow. YHC started a new job this year. It reminds me to start with a blank slate with my new co-workers and don’t let them be defined by conventional opinions about them. Assume positive intent. Prayers for Squeegee’s wife with a loose tooth and Park Bench with 2.3 on the way. Thanks everyone for coming out. Squeegee mentioned a running tour of Downtown Memphis this Saturday at 6:45am. More information in the Slack channel. THE SCENE: It was 21 degrees and dark. CIRCLE OF TRUST/BOM: Think about how you can contribute, not only how you will be compensated. This applies to how we work, how we serve our family, and how we help those in need. MOLESKIN: It was 21 degrees and dark. Yeap – Twice because Bookworm was not listening to me the first time. Balls, Park Bench, Bookworm, Tree Hugger, Squueegee, Judah (Q). God has a plan for my kids. I am not big enough to mess up God’s plans. That said, encourage everyone especially myself to lose myself in the Word to become a better dad. Think about icy conditions for next Q if we are going around a track. T-CLAPS to Squeegee for guiding the way in the icy track this AM! Line up on edge of parking space. Perform inch worm. Broad jump to far edge of adjacent space. Perform Burpees x the number of broad jumps it took you to get there. Rinse and repeat x 4, adding one additional parking space each time. Bear crawl across short length of parking lot. Squats x 25 OYO. Crawl bear back. Squats x 25 OYO. Lunge walk across short length of parking lot. Merkins x 25 OYO. Reverse Lunge walk back. Merkins x 25 OYO. 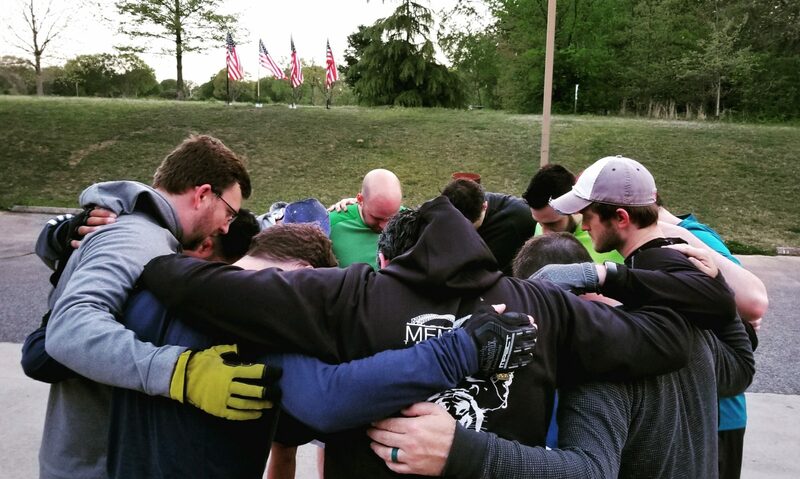 COUNT-OFF & NAME-O-RAMA: 5 PAX (0 FNGs). Gus, Judah, Bookworm, Meatball, Toms. CIRCLE OF TRUST/BOM: Make decisions today that are consistent with who you want to be in the future. MOLESKIN: I really didn’t want to post this morning, much less Q. T-Claps to the PAX for joining me and putting up with my brain. I didn’t regret it. THE SCENE: Cool, but dry! Mosey to the exercise cluster. Mosey to the jungle gym (around the track). 25 pull-ups to wrap up the jungle gym. Healing is a process. We can have a redemptive healing, but often times there are smaller ways we need to continue to pursue healing, and our healing comes from God.